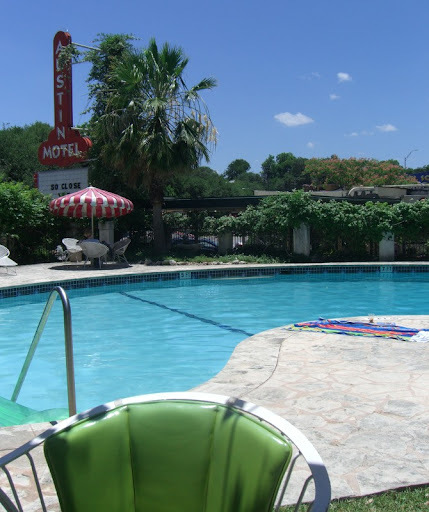 While in Austin, we stayed at the Austin Motel, a lovingly restored gem on South Congress Avenue. It has a great location, is reasonably priced, and really made our visit pleasant. The pool is a little oasis just off of the busy street below. Steps away and you are out in the heart of SoCo. 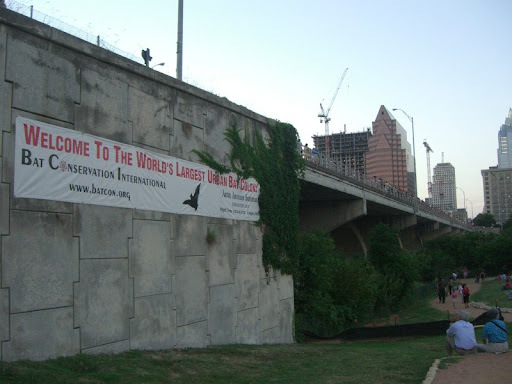 Just North from the motel is the South Congress Bridge, most notable for the being home to the world's largest urban bat colony. 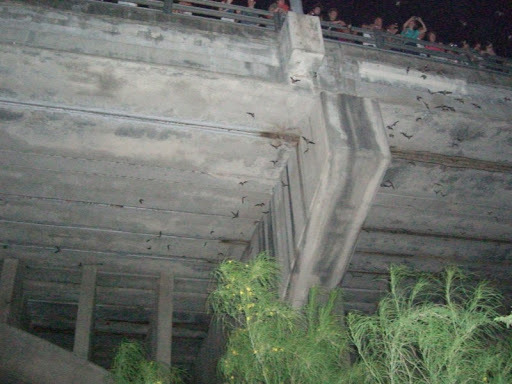 Every evening, around sunset, around a million bats emerge from the bridge to go out hunting for the night. The picture above doesn't even begin to do the scene justice. The bats started coming out slowly, and then in greater numbers until there was a steady black steam pouring out from under the bridge. Truly a unique sight to see. Nice writeup and great pix! 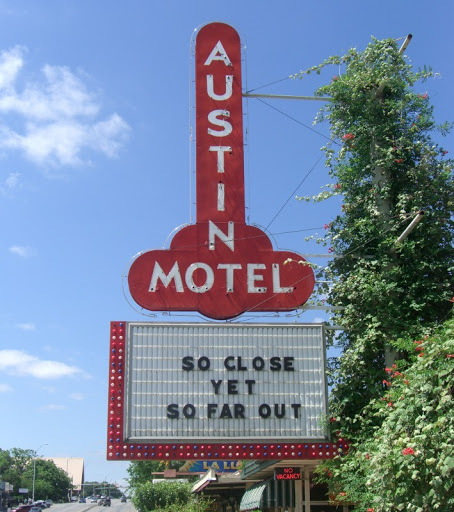 I lived in Travis Heights back in SoCo's seedy days, and loved it. Next time yer in Austin, try the Driskill Hotel. It's in the grand style, and boy is it ever! Q: Drive half an hour from Austin in any direction and where do you go?